I enjoy long form documentary work. That’s why I make documentary films and take photos. So I’m excited to see this one project by news editor and photojournalist Jon Hill. He follows Hillary Clinton and the rest as they go around campaigning in New Hampshire for the presidential primary elections (which will happen in 2016) taking photographs and the project is called ‘7 Days Preceding‘. And it’s also cool for me as a solo-journalist who likes to keep things simple shooting alone with one camera for both stills and video (and sometimes that means just my smartphone! ), because Hill only used one camera and one lens (Fujifilm X-E1 with a 27mm f/2.8 Fujinon lens). Small enough to be carried around inconspicously. 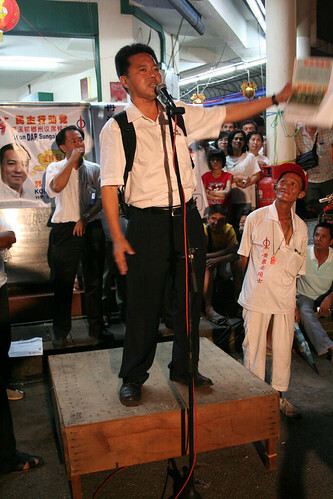 The ‘7 Days Preceding’ project reminds me very much of my own project called ‘I May Be Malaysian But I Carry A Big Stick‘ when I followed blogger and politician Jeff Ooi on his campaigning in Penang during the 2008 General Election. 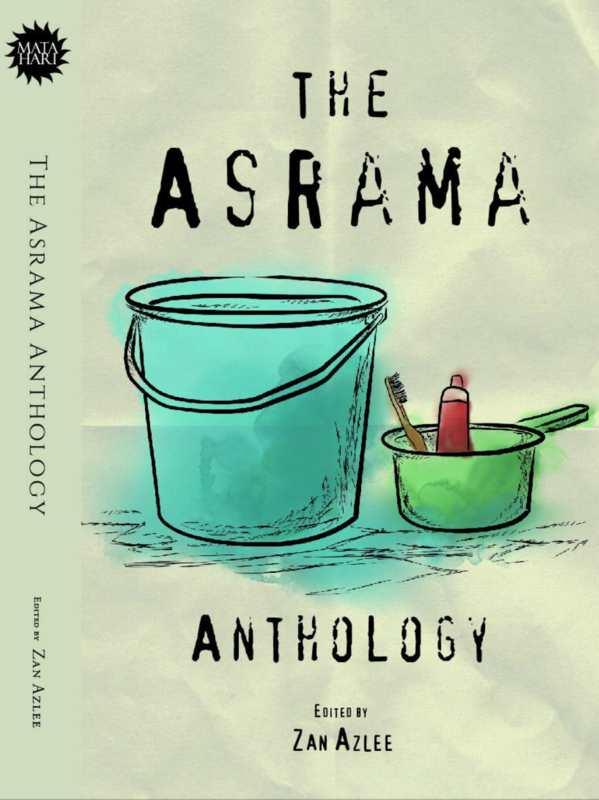 Go check out the multimedia blog entries I did then. Some photos I took are below (I took videos too). 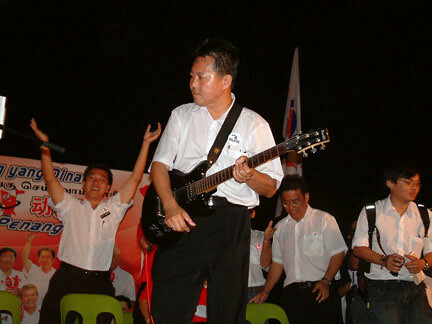 Jeff Ooi rocking with the crowd at Han Chiang High School, Penang. Lim Guan Eng speaking in Han Chiang High School, Penang. 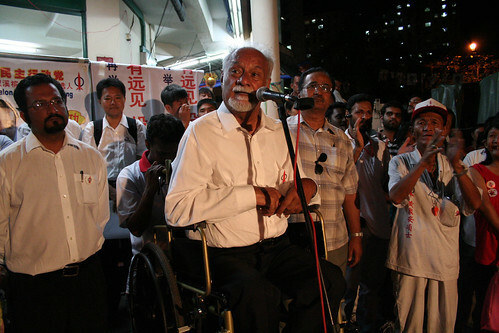 The late Karpal Singh campaigning in Jelutong, Penang. 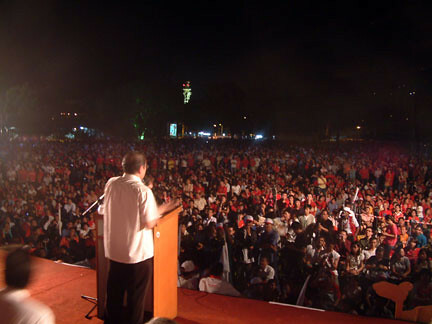 Jeff Ooi speaking in Jelutong, Penang. ← The Fat Bidin Podcast (Ep 44) – Do moderates practise moderation moderately?